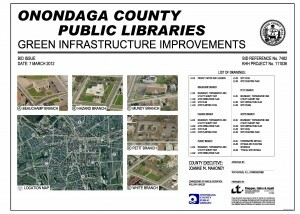 The Petit Library project was part of the Onondaga County Public Libraries (OCPL) “Green Library Initiative,” a partnership between the Save the Rain program and OCPL to capture stormwater while providing aesthetic benefits to the libraries. 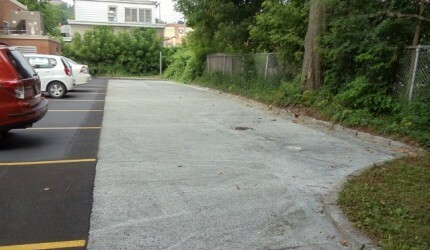 Porous concrete areas were installed within the pre-existing parking lots of Petit Library. 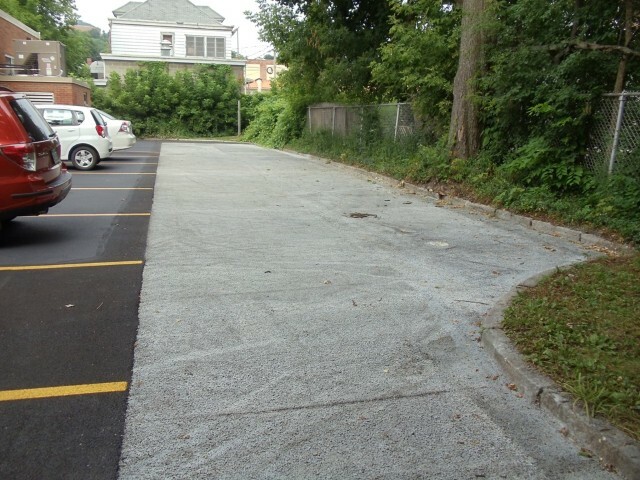 Beneath the porous concrete areas are large stone infiltration basins designed to capture runoff from the whole parking lot. 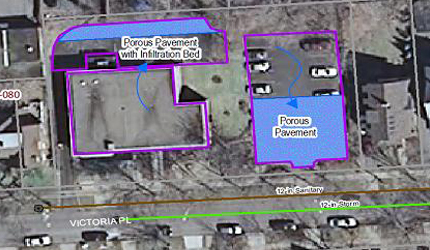 The two infiltration basins are also connected to an existing catch basin along Victoria Place, so that in the event of a large storm event, stormwater that exceeds the capacity of the infiltration basin systems is able to overflow into the combined system.